When you’re third-generation oilfield and your father starts taking you on rig visits at age 5, you might say that an oilfield career is hardwired into you. It’s perhaps incomprehensible in today’s industry, but around rigs is where Kevin Neveu grew up. “I loved those trips to the rig with my dad. I loved seeing the machinery and crews in action,” Mr Neveu recalls. “I would come home from a rig visit and build model drilling rigs with a Meccano set – a model construction system consisting of reusable metal parts.” By age 14, he had started working summers at his father’s rig fabrication yard, located in Edmonton. This work continued into his high school and university years. The rig construction boom throughout the 1970s and early ’80s meant that the family business was thriving through most Mr Neveu’s adolescent years. And it was the plan that he would enter the family business full-time after getting his mechanical engineering degree from the University of Alberta. But life likes to throw curveballs. In 1981, during Mr Neveu’s final year at university, the Canadian government implemented a federal energy policy that essentially stripped away capital for the oil industry, effectively shutting it down. “Rigs were canceled mid-construction. The industry just stopped. Our business went from 150 employees down to five in a matter of weeks,” he said. Soon, the family business shuttered, and Mr Neveu suddenly found himself having to make new plans and seek a new direction in his career. He first went to work for Dreco Energy Services, an Edmonton-based manufacturer of rig components. Then, upon graduating with his engineering degree in 1982, he joined National Supply, working in a welding shop to provide shop floor procedures for welders. Over the next decade, Mr Neveu persisted in the drilling industry despite a prolonged period of slow activity. From the welding shop, he went to field engineering and then was promoted into a managerial role overseeing the Canadian division of National Supply’s production services group. In 1989, after the company merged with Oilwell, Mr Neveu was asked to move to London and run the Europe, Africa and Middle East operations for all of National Oilwell’s equipment lines. A unique offer came his way in 1992, when his former employer, Dreco Energy Services, recruited him to move to Moscow and set up the company’s Russian operations. 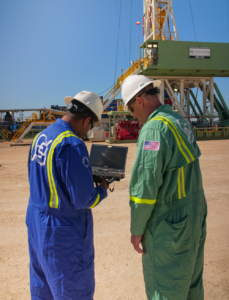 “The country was facing declining oil production when oil was their primary source of revenue, so they were looking to improve the quality, safety and reliability of their operations. It was a good time to be there,” he said. By 1999, he had moved to Houston to run National Oilwell’s downhole tools division, after its acquisition of Dreco. Then in 2002, he turned his attention to the company’s rig technology division. 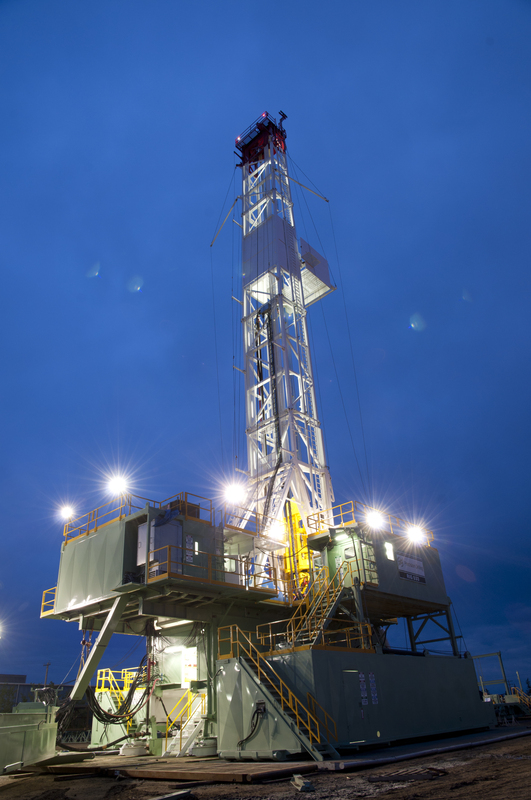 The 1,200-hp Super Triple Rig 464 is drilling in the Niobrara. It was an exciting time to be overseeing rig innovations at a major OEM, he noted. Offshore, the industry was kicking off both a deepwater and jackup build cycle. Mr Neveu led a team that launched multiple technologies around rig automation, rig controls and pipe handling. Onshore was equally exciting, as the shale plays were just beginning to emerge around 2002. 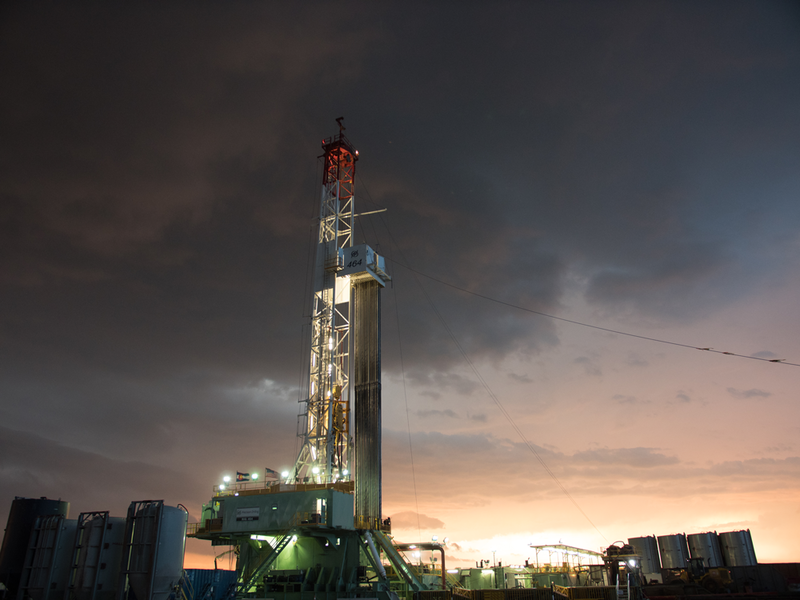 The company – now National Oilwell Varco after the Varco acquisition in 2004 – recognized and seized significant opportunity with changes happening in natural gas and horizontal drilling. During the 2000s, the group, under Mr Neveu’s leadership, built high-efficiency rigs with top drives and AC controls that helped the industry to drill more accurately and with more control. By 2007, the land shale drilling business was established, and many of the technologies that NOV launched into the market had become proven. Mr Neveu, recognizing that he was ready for the next phase in his career, turned to Precision Drilling. The Canadian company had always been on Mr Neveu’s radar because it was founded by Hank Swarthout – who happened to be Mr Neveu’s first boss when he worked at Dreco while attending the University of Alberta. Kevin Neveu gave the keynote at the 2018 IADC Advanced Rig Technology Conference in Austin, Texas. “I watched them build the company as a Canadian driller, as an international driller and as a global technology services provider. And I was impressed with the culture of the company and the capabilities they were developing,” he said. Mr Neveu’s work over the past decade to grow Precision is evident. While in 2007 all but four of the company’s rigs were in Canada, just a decade later, the company saw its highest market share ever in the US. Out of 109 AC rigs, 27 are in Canada, six international and the balance in the US. The company’s biggest market is now the Permian. Looking to the future, Mr Neveu said a strategic imperative for the company is to find a way to improve full-cycle returns for investors by optimizing the business model to best respond to market volatility. Another key goal is to achieve Triple Target Zero – days when there are no environmental incidents, no recordable safety incidents and no motor vehicle incidents. “The industry has a habit of measuring safety by measuring how many people get hurt. I prefer to measure the days that are successful when we don’t hurt anyone,” he said. Reaching this goal will require a confluence of complex factors, but Mr Neveu emphasized that automation or mechanization is not the answer to every safety challenge. Precision’s Super-Triple Rig 533 is drilling in the Montney Doig in Canada. “This industry is going to involve people in the rig operation for a very long time. While we can use machines and automation to reduce the exposure, we still face a very challenging environment.” More stringent training and processes, more standardization and less activities off plan, as well as strong leadership, will all play key roles in the solution, he said. As the industry learns to build more sustainable businesses in a lower-price environment, performance and efficiency improvements have become key themes. For Mr Neveu, he believes that important enablers of such improvements will be process automation and data analytics. By joining the industrial revolution 4.0, the industry can get to a point where every new foot drilled incorporates lessons learned from all the previous feet drilled. Drilling 4.0, as he calls it, also encompasses eliminating human performance variances, enabling real-time collaboration and making actionable information available to the right people at the right time. However, even as drilling contractors push to make these step-changes in performance, one fundamental challenge remains and must be addressed. “Collaboration between the drilling contractors and the E&Ps generally tend to be biased toward the E&P company,” Mr Neveu said. “As a whole, the drilling contractors haven’t received the financial returns or benefits commensurate with the improvements we’ve made. We’ve drilled wells faster, safer and better than ever before, but financial returns are as challenged as they’ve ever been. A key goal at Precision Drilling is Triple Target Zero, which refers to days when there are no environmental incidents, no recordable safety incidents and no motor vehicle incidents. 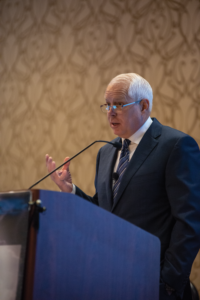 All of these challenges, both technical and economic, can only be resolved through collaboration, he said, and that’s why IADC plays such an important role in bringing stakeholders together. Particularly, the work done through the association’s technical committees should attract wider-scale support from all parts of the industry, Mr Neveu encouraged.